“And we should consider every day lost on which we have not danced at least once”. I was born in Turin, where I trained as a dancer and pursued my earlier career as a performer and choreographer. For over 10 years I worked with Turin’s leading dance companies, and studied dance and a wide range of bodywork techniques, in Germany, France, and the United States. After graduating in Educational Psychology and with the benefit of considerable experience behind me, I created a repertory of exercises designed to improve awareness of the body and of the mind: Armonizzazione© (Harmonisation). The method is intended not only for people whose work involves using the body but also for anyone who wants to maintain themselves in good physical and mental working order; it involves doing exercises without strain and with immediate results. I chose the term Armonizzazione because it reflects the importance I give to harmony in movement and to gesture taken to perfection as expressions of inner equilibrium. In 2002 Magnanelli published my manual titled Esercizi di Armonizzazione with a foreword by yoga master teacher Gabriella Cella. 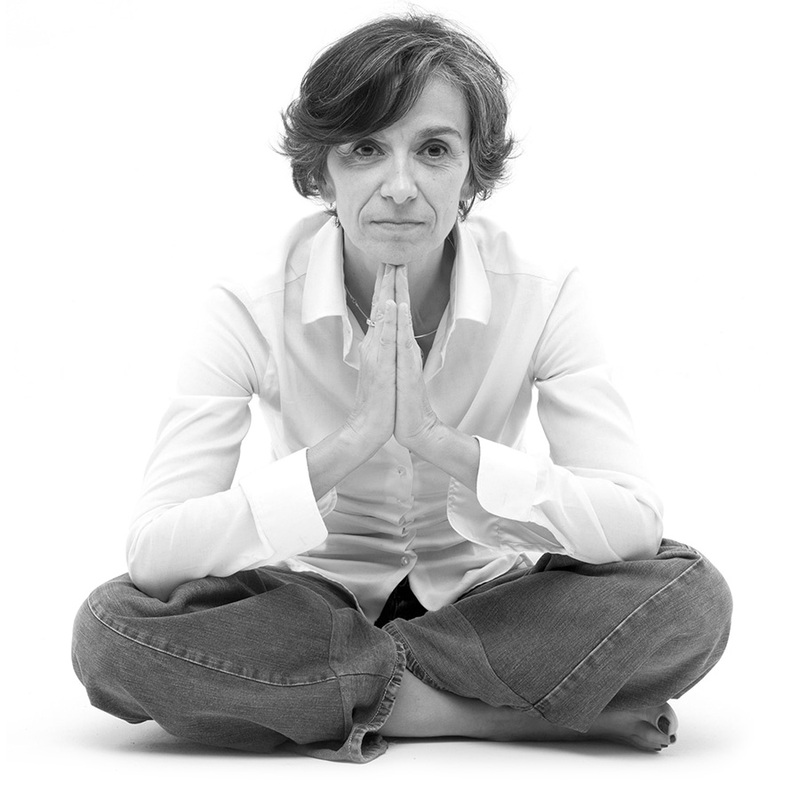 My journey with yoga started in spring 1980, after a lesson given by master teacher Carla Perotti in the Sadhana Centre in Turin; a deep relationship developed, and continues to this day. The various training courses I have completed, both in Italy and abroad, and the experience I have gained from three decades of teaching have enabled me to perfect my teaching style, which is based on gradual progress and motor awareness. In my Hatha yoga lessons, I present Armonizzazione techniques that can improve stretching, tonification and relaxation, and that enable a personalized approach that can be tailored to suit the individual characteristics of anyone who engages in the practice of yoga. In addition to regular lessons, theme-based courses, and residential seminars, I have created ARYA, a yoga teacher training school and innovative program where those who are more motivated can, in turn, acquire the skills needed to communicate and share with others the many advantages of regular practice of Hatha Yoga. Planning your Yoga tour in Italy? Welcome Home is a platform that combines houses to events and services in Turin and Milan. Welcome home has selected the most suitable offers that could meet anyone’s needs. If you are in town for working or for travelling, just for one night or you plan to stay longer, once you have found the most suitble offer our platform can offer you a list of events available in town close to your accomodation (@ TO DO), propose you some valuable agreemets enrich your stay booking one of the service listed @ TO LIVE. Have a look!